Establishing a recycling program in your community can result in immediate environmental benefits, both globally and locally. Many First Nations would like to create a recycling program, but finding a starting point is a challenge. 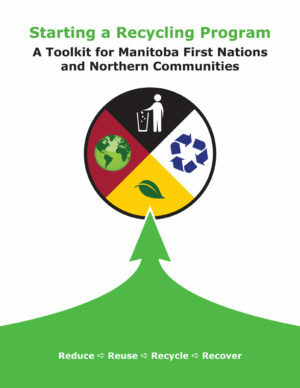 To help address this, Green Action Centre, with funding from Indigenous and Northern Affairs Canada (INAC), pulled key information together into a single, step-by-step guide to assist Manitoba First Nations and northern communities in tackling waste management and recycling.